← Connecting to Nature – What does this mean and how do you do it? And then, it was claimed by the sea! There is something about creating with found objects that for me is like doodling with pen and paper when you are on the phone. It is mindful but mindless; the wanderings of the subconscious. 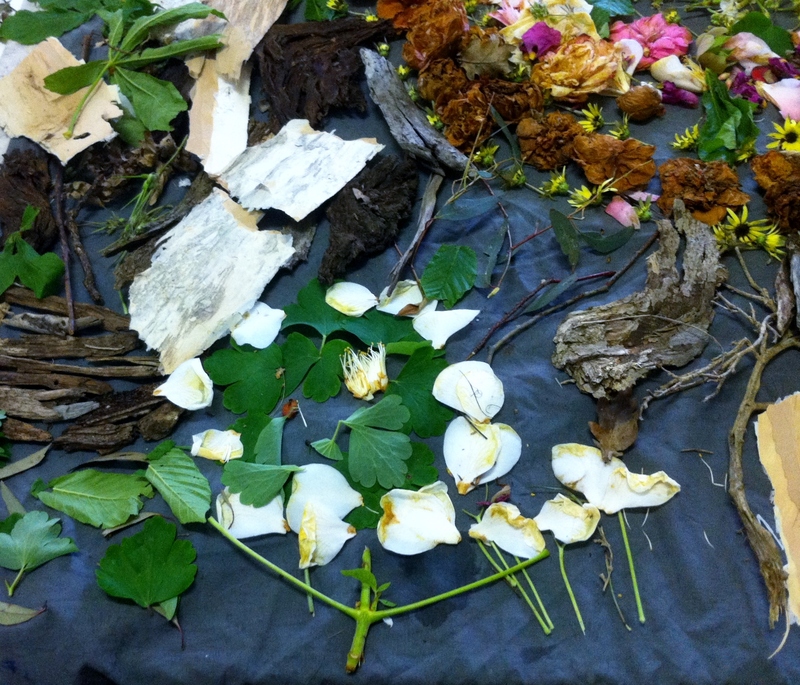 In two separate community mental health groups this last week I facilitated some story telling in the form of ephemeral creations. I don’t like to name these things so much because it sets up assumptions but I guess you can say it was a form of mandala. 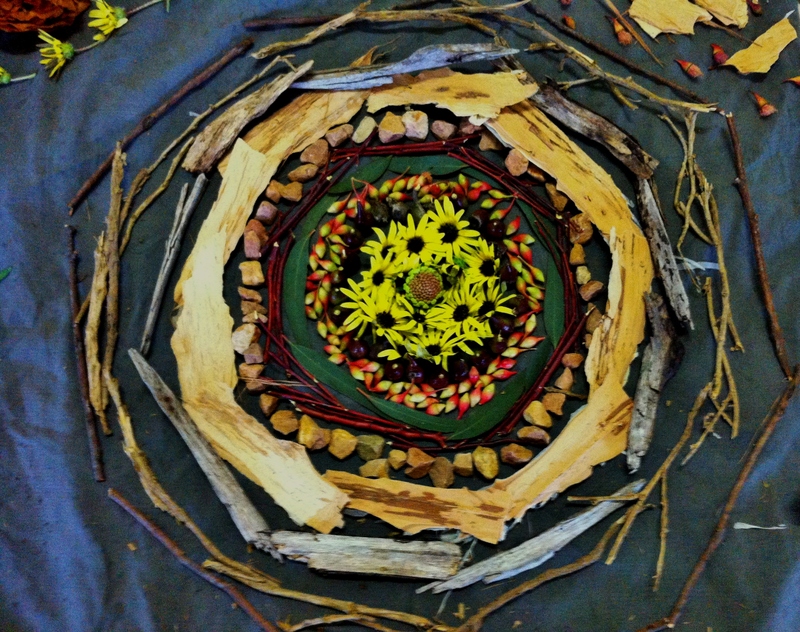 This creation was inspired by the science of the Spring Equinox. Together we represented the sun by the daisies and the spiral was the galaxy. 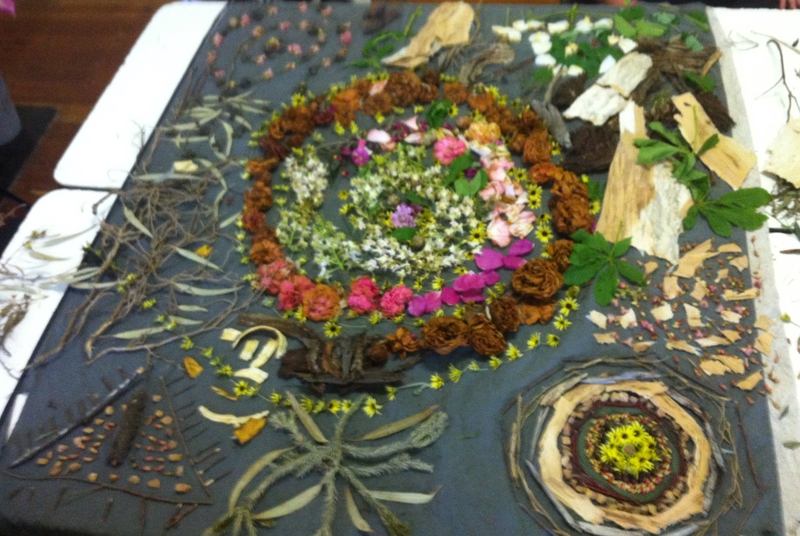 The flowers were laid down from most fresh to those that were dying, representing the cycle of life. 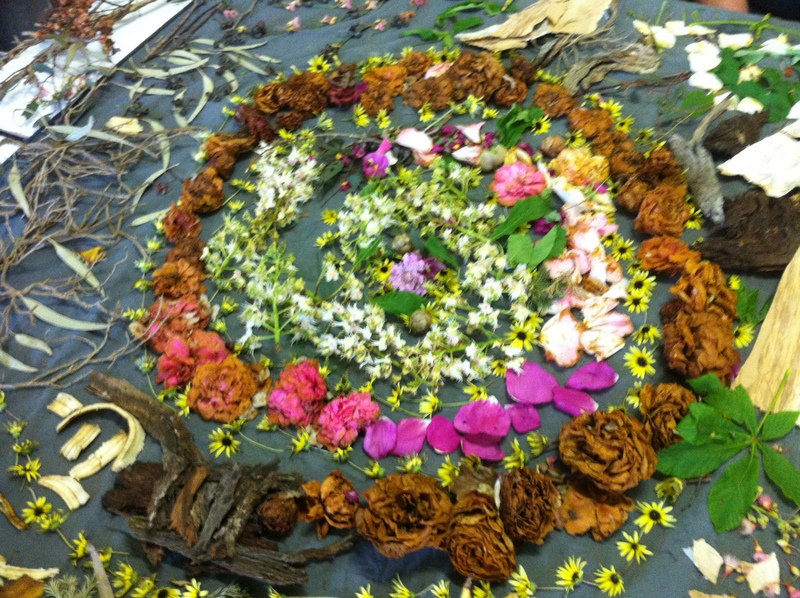 A participant added some banana peel here to represent sustenance and new life again and the spiral of daisies left the mandala onto the table and off to where ever. Each person then took a corner to do their own piece in which ever way they wanted. One corner was very detailed with a representation of the solar system, each layer representing a different planet starting with the sun in the middle represented again by the bright yellow daisies. Another corner was a spiral featuring the leaves and fading flowers of the most beautiful Eucalyptus tree that was red 2 weeks before. This came from someone who claimed to have ‘no creativity’! Another corner represented a participant who loves science, order, geometrics and language. In making this piece he became aware of the lack of straight lines in nature, at the physical macro level anyway but beautifully represented the order that co-exists with the disorder in the natural world. 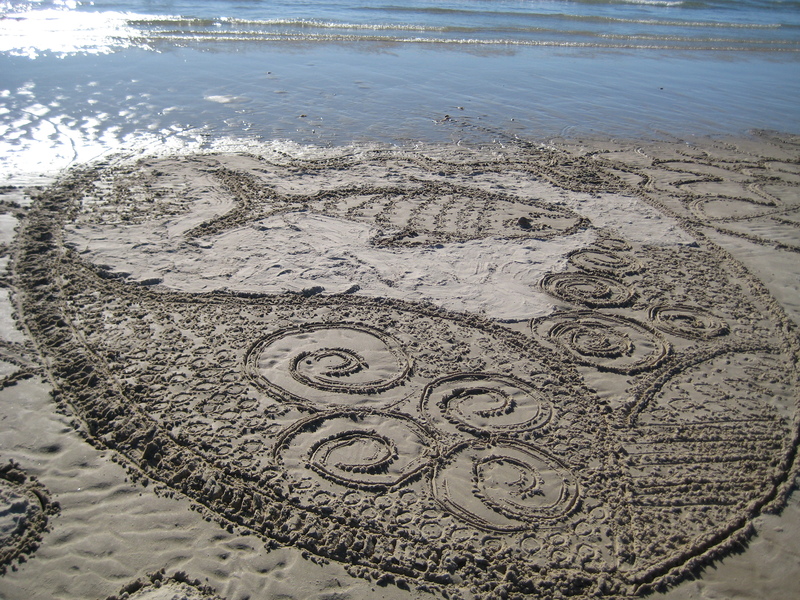 The last corner was from a participant who represented the disorder in nature. This fella just creates from the heart, whatever it is, however it falls. 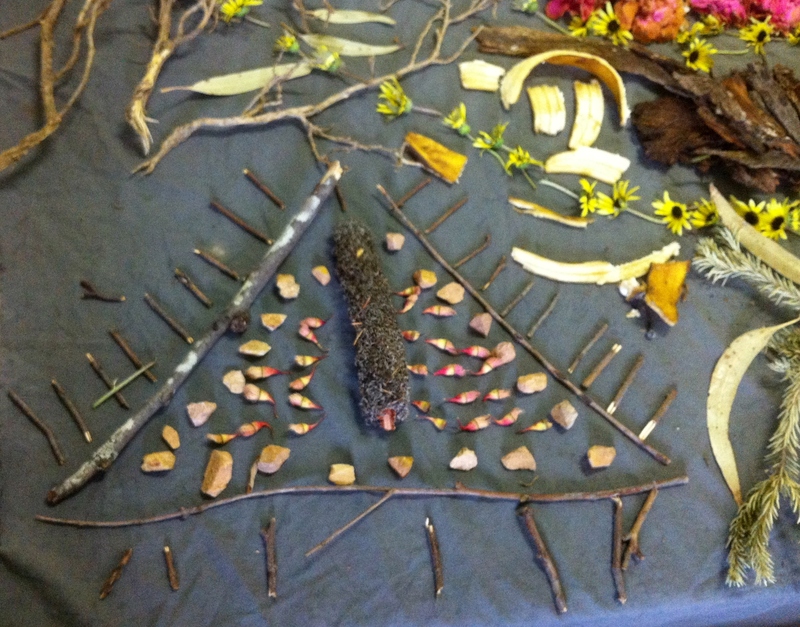 In the second program, the first day of 6 weeks, we collected a lot of found objects from the park and the group was asked to then select some bark, a stick, something with an interesting texture and something else that caught the eye. They were then offered string and wire to fashion these objects together in what ever way it happened after reflecting on and writing a few words about what they wanted to get out of the program over the 6 weeks. What I loved about using found objects in this way is that everyone regardless of what they thought their creative ability was, created something beautiful. The form, the colour, the texture are all there in the objects, all they needed to do was bring them together. More important in this exercise however was the sharing of what they chose and why; and how they bound them together and why. In speaking aloud about what texture they liked or explaining that they were not able to put their finger on why something caught their eye, they were providing a little window into their ‘self’ or soul if you like. They were also describing their connection to nature or at least a tiny part of it. In this group, layered on top of this was the more conscious story of why they were their wanting to participate. 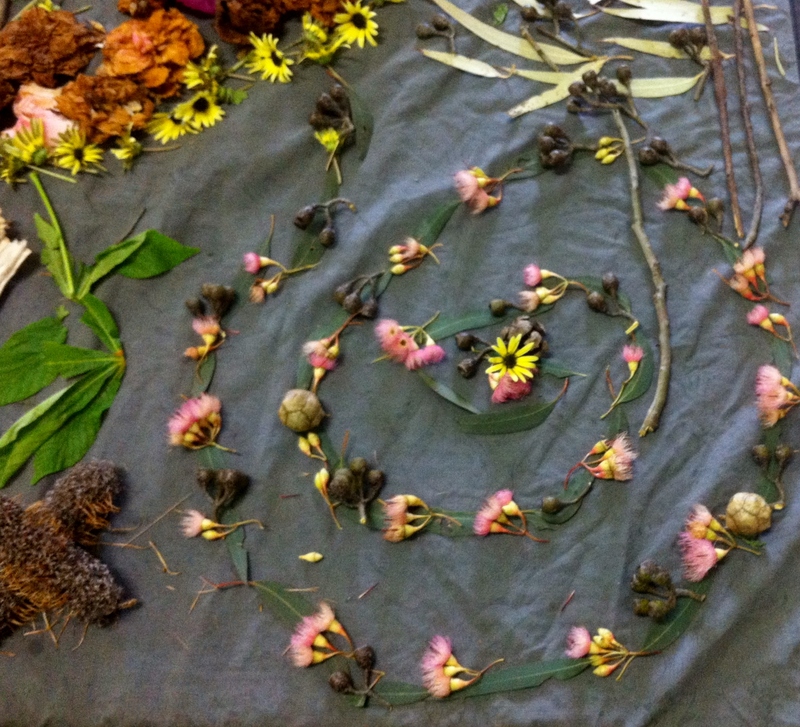 It was a beautiful way to begin forming and build on relationships within the group, the natural world and the inner world of their self. 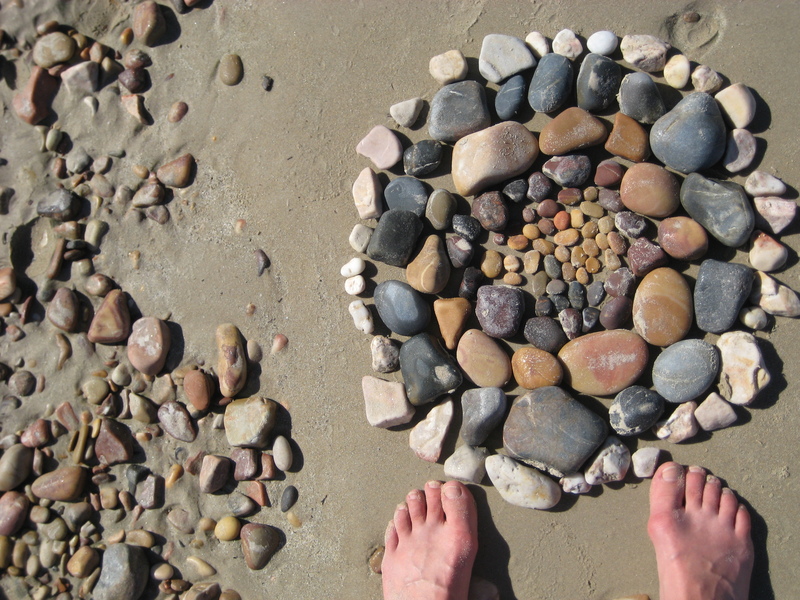 Gallery | This entry was posted in Uncategorized and tagged ephemeral art, nature; connection to nature; mental health; wellbeing; mindfullness; art; creative expression; human-nature. Bookmark the permalink. A friend and I have started doing collage with pictures from old magazines. I love this idea though, of using found objects in nature, they are beautiful! Connecting to Nature - What does this mean and how do you do it?